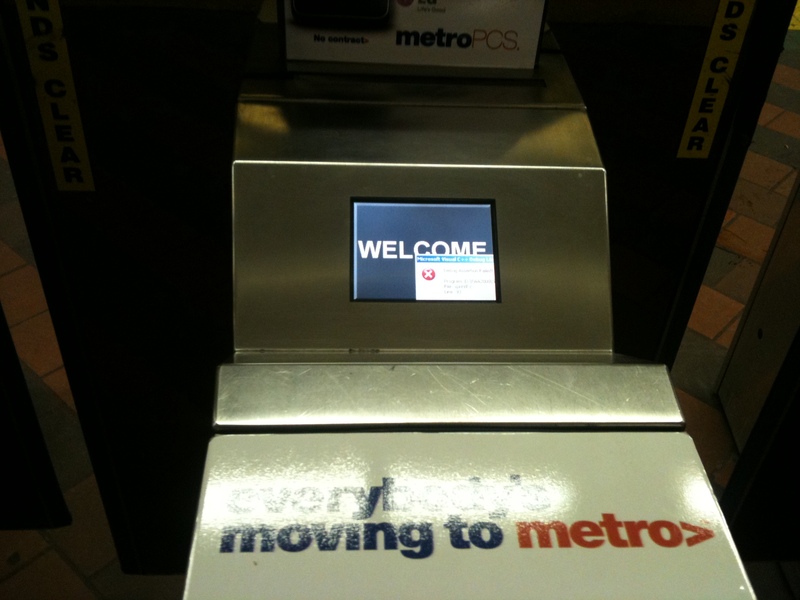 A subway turnstile running Microsoft Visual C++ would not let me pass this evening. 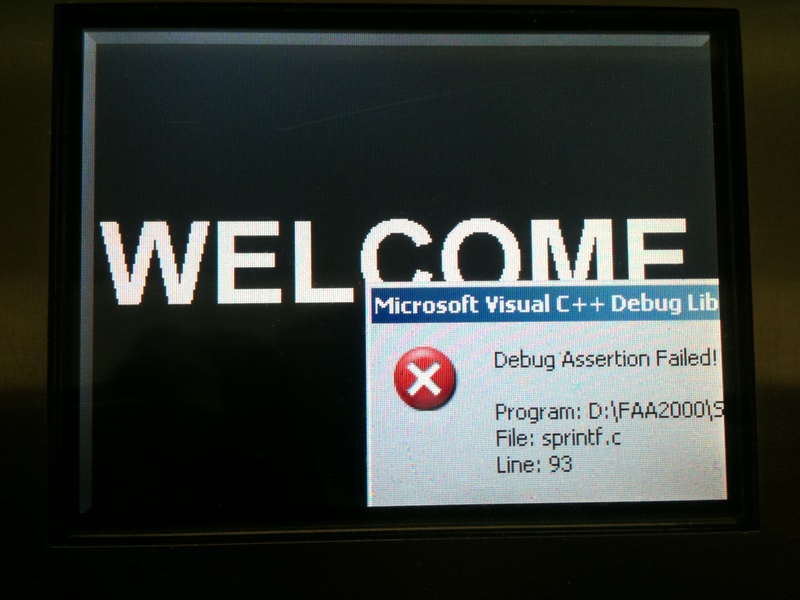 The screen says “Assertion Failed!”, a common software error which basically means “Something turned out not to be true.” Now I can relate to the anguish of discovering that, because much of what I believe at any point in time turns out not to be true. But please, my train was coming! Luckily, there was another turnstile next to this one, still convinced of its assertions, and in that blissful state of self-trust, quite ready to accept my $2.